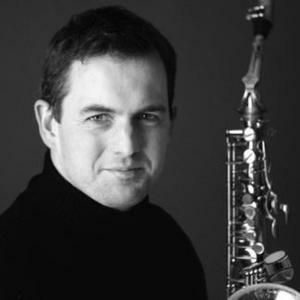 Christian Forshaw is a saxophonist and composer whose career to date reflects the qualities required of a musician in the 21st Century. Long gone are the days where a musician spends an entire career working within the same boundaries and increasingly musicians find their work transcending genre after genre. Audiences have found a powerful connection with Forshaw's compositions and performances, and reactions to both Sanctuary and Renouncement have been profound from both the traditional classical establishment (BBC Radio 3 etc. Audiences have found a powerful connection with Forshaw's compositions and performances, and reactions to both Sanctuary and Renouncement have been profound from both the traditional classical establishment (BBC Radio 3 etc.) through to more commercial stations such as BBC Radio 2 and Classic FM. Live performances have left audiences spellbound and moved by the power and intimacy of the music. Forshaw's initial musical influences were the Beatles, traditional choral music and a hefty dose of hard rock. Although music was always a part of his life it wasn't until he was 16 that he decided to pursue it more seriously. He managed to secured a place at the Guildhall School of Music & Drama and moved to London in 1991. Although Christian had played in big bands, jazz small groups and pop bands he always had a very clear idea of how he wanted the instrument to sound in a more classical context. The purity and lyricism he had experienced within choral music was something he sought from the saxophone and by studying the instrument classically he was able to explore this further. Upon leaving the Guildhall in 1995 he began working with groups such as the London Sinfonietta, Philharmonia and the Chamber Orchestra of Europe. He found this kind of work incredibly rewarding but was also aware of areas of his playing that he wasn't getting to explore. He decided to revisit the ecclesiastical environment he had previously been familiar with and began writing and arranging material in that context. The material was based around traditional texts as well as simple hymn melodies. The intention was to magnify and amplify these miniatures and turn them into performance pieces. Having accumulated enough material he hired a choir, a chapel and an organist for a weekend and began the recording process. This was very much "thinking on your feet" recording, not really having much of an idea of how this would end up sounding and never having produced a recording before. After months of re-arranging, re-recording and re-mixing Christian finally ended up with something he was happy with, and Sanctuary was released in August 2004. Within a few weeks of its release tracks were being played on national radio almost daily and the album reaching no.1 both in the Amazon Classical Chart and the New Zealand Classical Chart. This was unprecedented for an independent release and generated a lot of interest from major record labels. In 2006 Sony BMG offered Forshaw a four album exclusive deal. He initially thought this was an offer too good to be true, but having observed the priorities of a major label he made the difficult decision to walk away and set up his own label Integra Records UK in order to maintain his independence as an artist. His 2nd album Renouncement was released in April 2007. After releasing Renouncement Forshaw decided to record a disc exploring a totally different side of his playing. As head of the saxophone department at the Guildhall he had spent several years teaching very specific concepts of sound to his students but with no reference recordings of standard repertoire from this perspective. Pieces were selected from the exuberant mid-20th Century in France, and Reflections of France was released in June 2008.